Interested in our product? Contact us via email and we will provide you an access code so that you can see actual results from our units currently running in the field. There is NO CHARGE for this setup. We currently have units installed in Minnesota, Iowa, Texas, Arizona, and Florida. We have installed units that are in their third year of run-time in the field. Dr. Ron Roth received his Ph.D. in Mechanical Engineering from the George W. Woodruff School of Mechanical Engineering at Georgia Tech. Dr. Roth’s educational background includes majors in Applied Control Theory, Dynamics and Vibrations, and Optimization Theory and minors in Electromagnetics, Mechanics of Materials, and Mathematics. 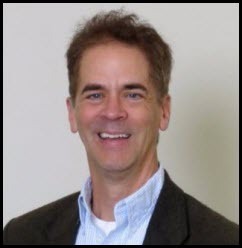 Dr. Roth has over twenty-five (25) years of experience in the design and implementation of advanced control systems as well as (DAQ) data acquisition systems. Dr. Roth is the Principal for RT Automation which has released products including CathCAD®, MeasureOD®, and MeasureOHM®.